Boston Herald on The Talk: "For This, CBS Canceled As The World Turns?" Surprising no one with any pop-culture acumen, reviews for the debut of The Talk on CBS have been overwhelmingly negative. 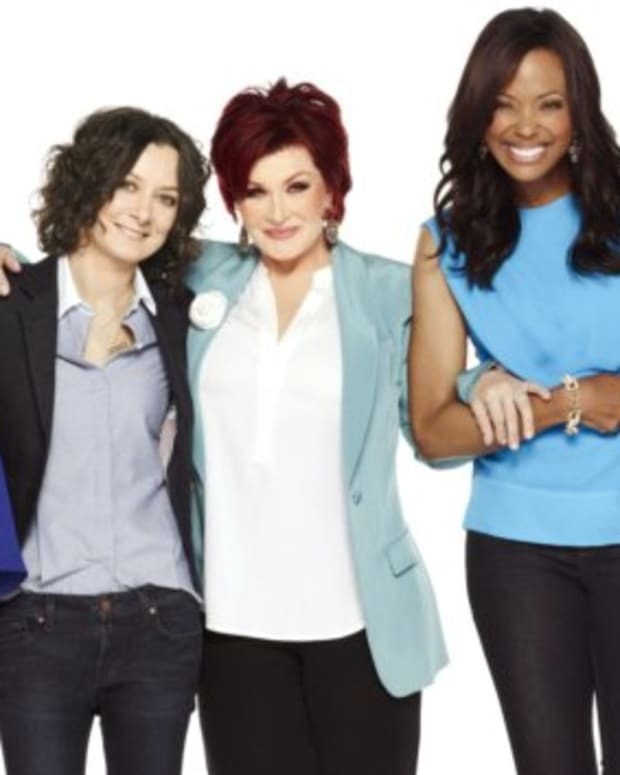 The series jumped off with a predictably dull premiere this week, featuring the insipid collaboration of Julie Chen, Leah Remini, Sara Gilbert, Holly Robinson Peete and Sharon Osbourne, and an irrelevant and uninteresting interview with Christie Brinkley. Seriously, who iwaswaiting for an interview with Christie Brinkley?! "Halfway through the debut yesterday of CBS&apos;s "The Talk," I caught myself checking my watch and thinking that maybe a better name for the show would have been "The Shutup!" I just don&apos;t really get why anyone would care about a group of successful showbiz moms discussing their kiddie trials and tribulations. Only Robinson Peete kept trying to bring up topics that might interest regular Joe moms." "Ironic, isn&apos;t it, that the area in which "Talk" most clearly departs from "View" is the one that&apos;s most worth copying: "The View&apos;s" fearless tackling of current controversies and political outrages. "Talk&apos;s" talkers -- a slapdash collection of mostly actresses -- on Monday stuck mainly to Botox, divorce and female body parts." "But the problem with creating a mom-driven talk show that “keeps it real” is that real moms don’t get talk shows. Celebrity moms get talk shows. Technically, of course, they are all real mothers, but they experience motherhood in a rather rarified, which is to say rich and famous, my-friend-Jennifer-Lopez (who appears on Tuesday&apos;s show) sort of way." "It&apos;s been a while since a network put anything on the air as simultaneously ingratiating and off-putting as CBS&apos;s The Talk. As bad as you might expect a knock-off of The View to be (given how insufferable The View is), The Talk is worse. It&apos;s much, much worse. Frankly, The Talk...feels like an angry man&apos;s vision of what groups of women friends are like. They chatter, they giggle way too loudly, then one says something and the rest do some version of "Ohhhhhhhh, SNAP!" It&apos;s truly and regrettably awful, to a degree The View can only dream of." For this, CBS canceled “As the World Turns’’?